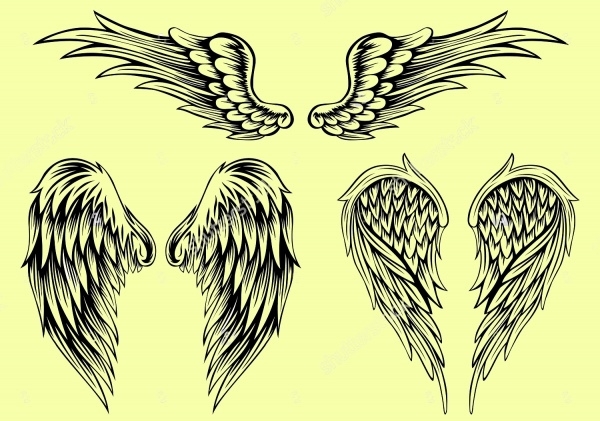 Wings vector is very useful in the realm of graphic designing, thanks to their powerful appeal and great look. These vectors can be used in a lot of design creations such as logos, flyers, magazines, brochures etc. 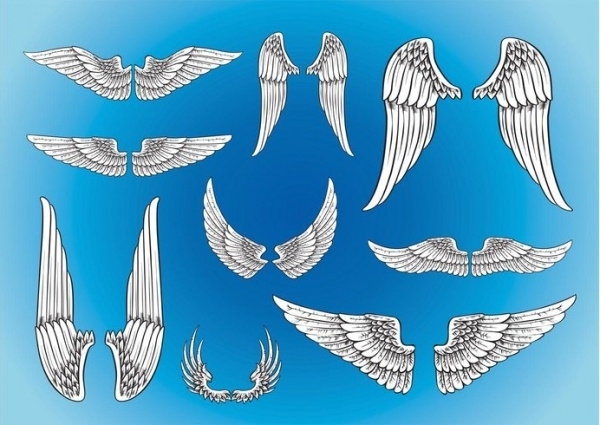 A wing vector comes in a lot of patterns, styles, and designs which help designers to choose and use the relevant illustrations. 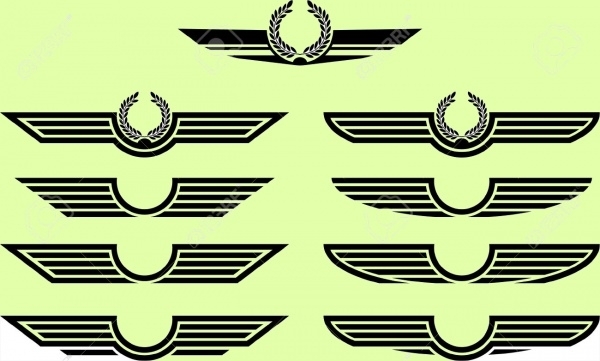 Wing shield vector is one of the most popular vectors that we commonly see in designs.You may also check Bird Vectors. This high-resolution vector illustration features golden wings of an Eagle that symbolizes power and ambition. 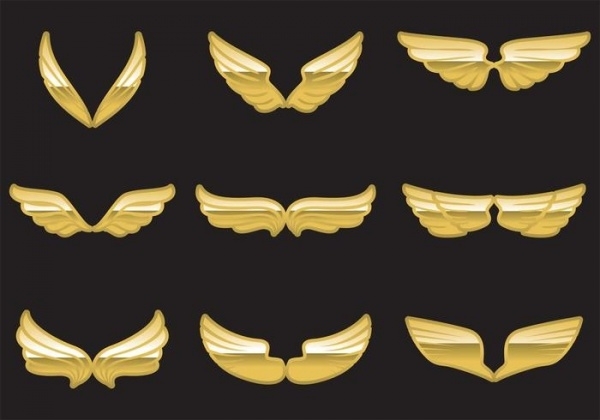 This golden hued wing looks majestic and will enhance any design.You may also see Cartoon Vectors. 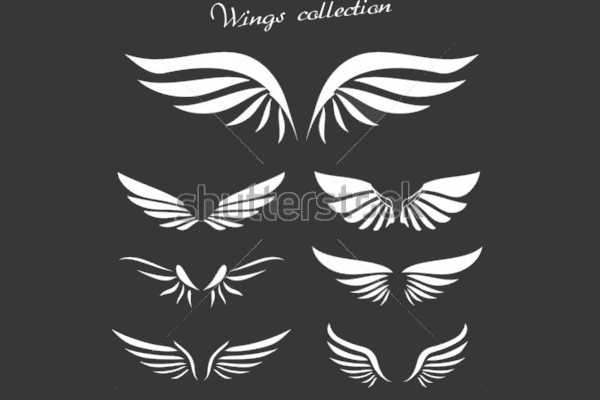 This winged vector illustration displays a white wing on a black background. 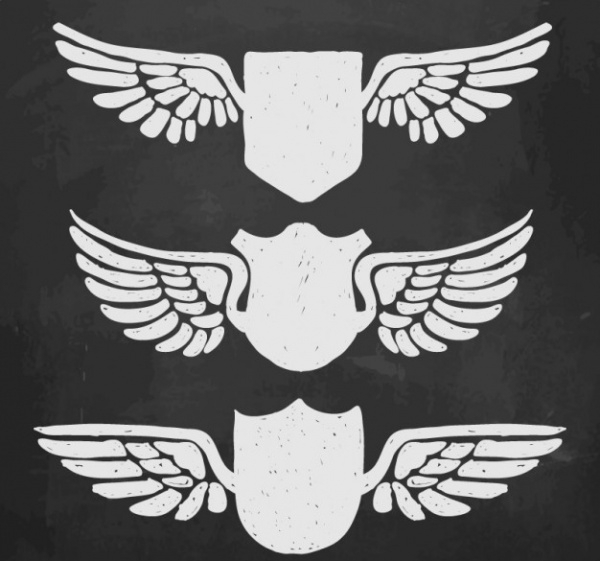 This shield illustration with flat wings looks very powerful and can be used on logos. 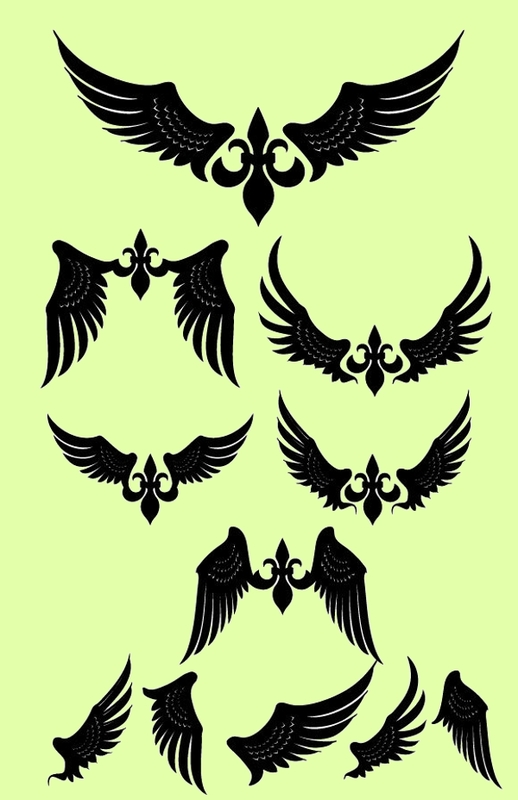 If you want simple wing design that looks classy at the same time then this vector is the best. It features a creative pattern that can be used in the logo and other artworks. 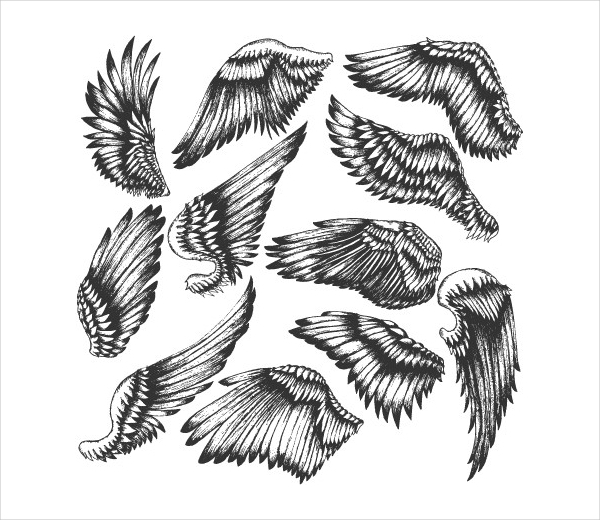 This outlined angel wings vector displays a pattern that is similar to a hand-drawn design. This vector illustration can be used in sketches and other creations. 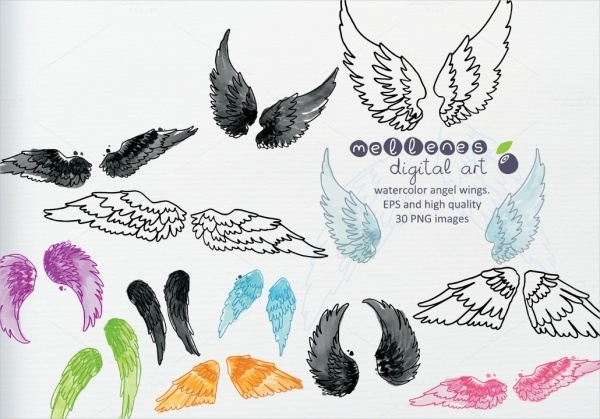 This digital art features many wing shields in the shade of watercolors. You can use these vectors for creating sketches or can use it in fashion or lifestyle advertising material. This detailed wing design has a lot of interesting patterns which gives it a majestic look. You can use this vector to give your design an interesting and attractive appeal. This amazing vector is available in high resolution and can be downloaded in different sizes. 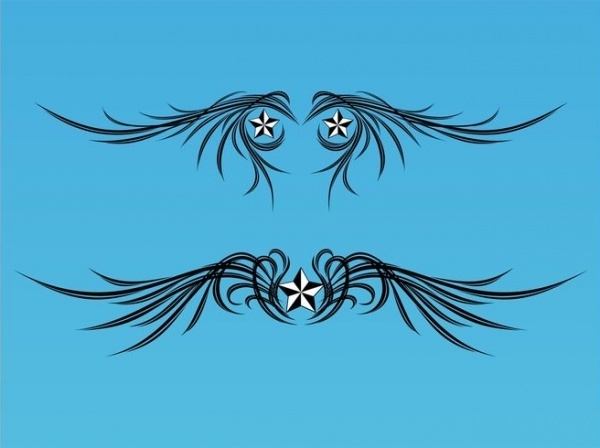 This design can be used in tattoos and logos. 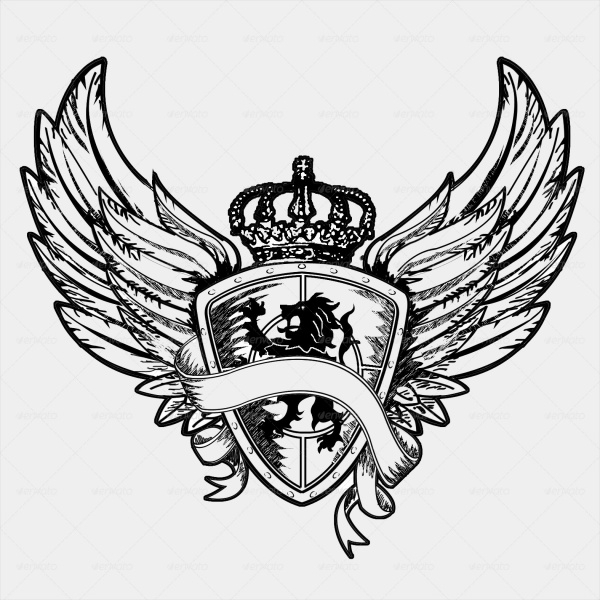 This great looking bird wing vector has a unique design and features with classy design elements. You can download this vector in .EPS and .JPG format and use it in your artworks. 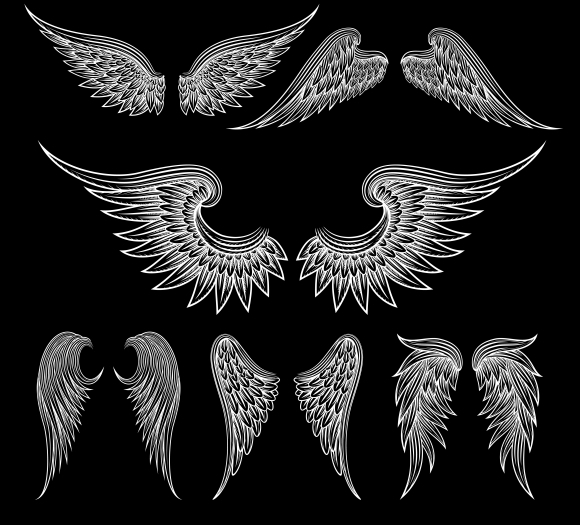 If you like cartoon design and wish to use it in your projects then this wing vector will be a great resource. The illustration looks adorable and elegant. This design features wings along with text which makes it look cool. This design can be used on websites as well as mobile applications. This stylish vector design looks elegant and sophisticated, thanks to the amazing design elements used. 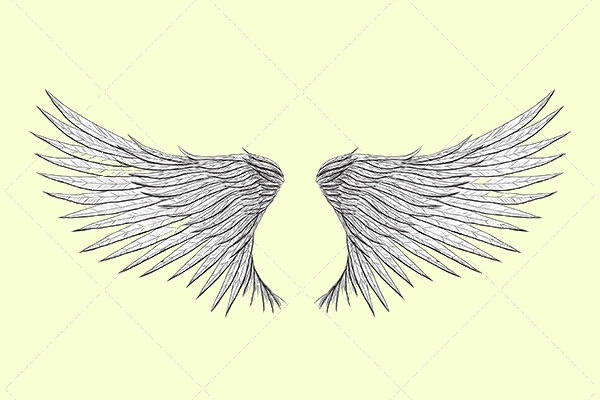 You can download this sketch of white wings and use them as background as well. 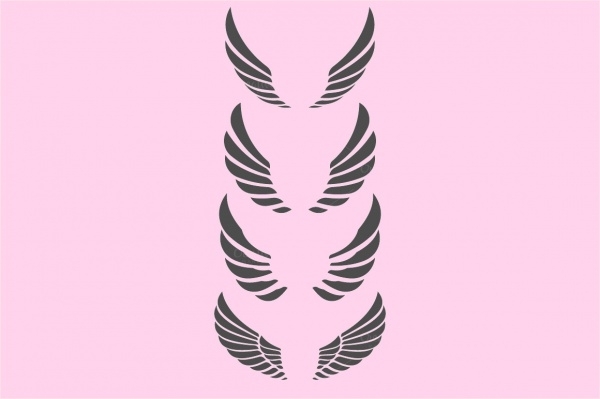 This design is available in high-resolution and features white wings on a black background. You can download it in different sizes for your design projects. 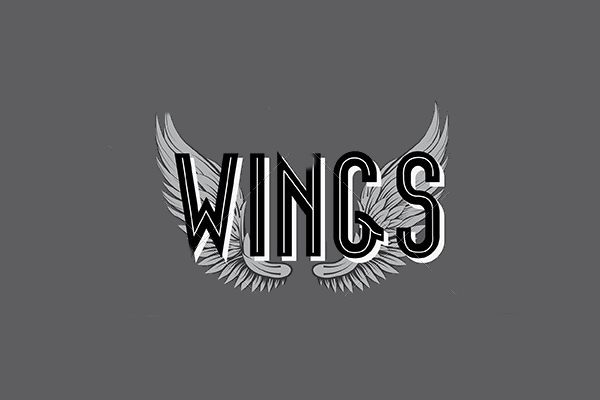 This wing vector has a grungy and weathered look which makes the design look intriguing. The wonderful grunge effects make the vector look mysterious. This vector set several graphics and design which can be used in your project to make it look great. This design is available for free download. 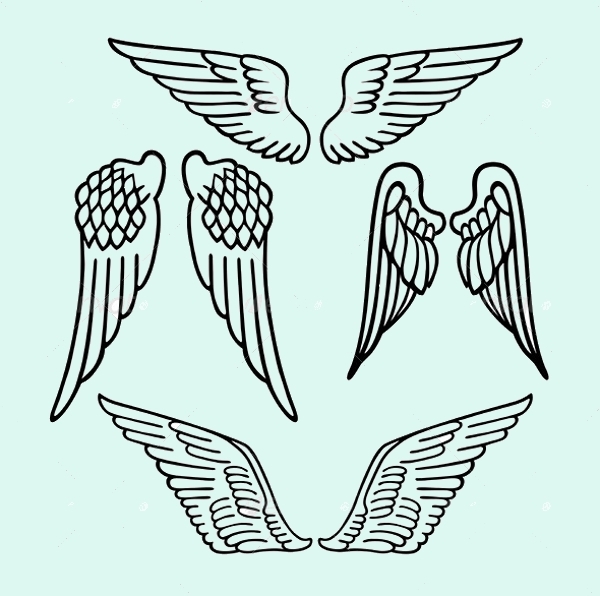 This set of adorable wing doodles will make your design look endearing. 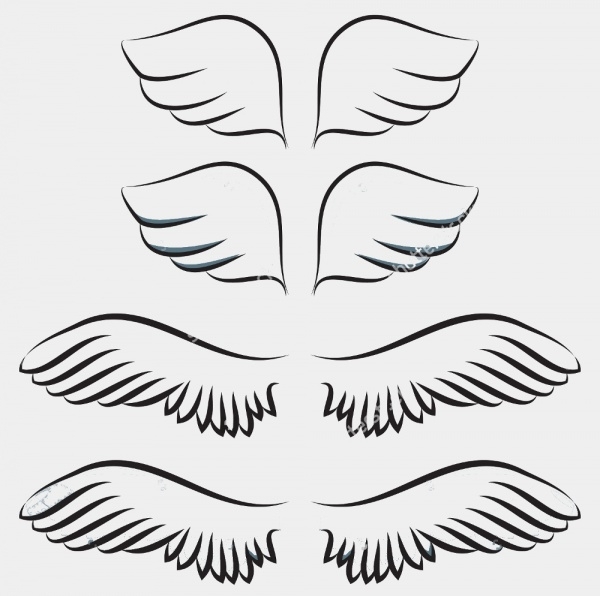 You can use these small angel wings as a logo or small icons. 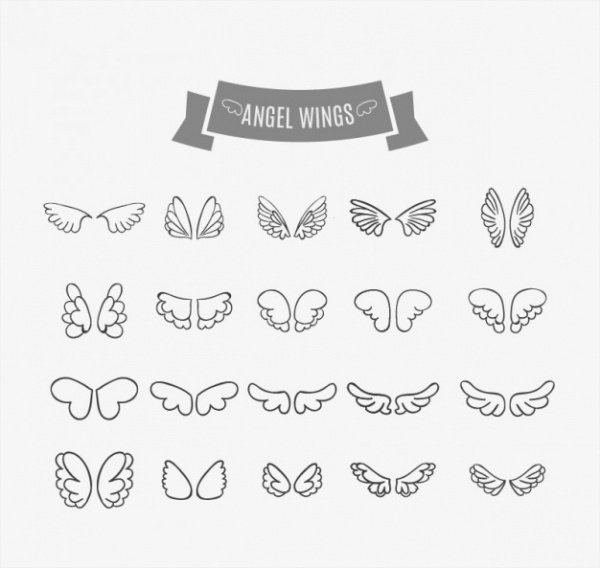 Wing vectors look wonderful and used commonly in design projects to give a distinct appeal to designs. Vector illustrations in high resolution enhance the aesthetics of any project and make them look grand. 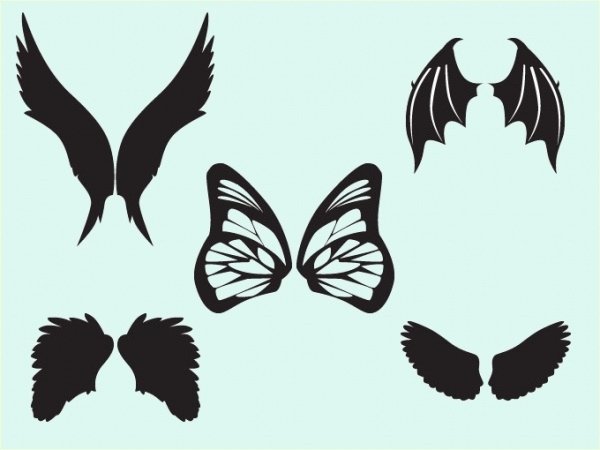 You can download these vectors for free from the web.